Winter is just around the corner here in Western North Carolina and you may need to do some home maintenance to ensure that your house is ready for the cold winter months ahead. When you prepare your house before the cold arrives, you can help to prevent bigger problems for yourself later in the year. There are many things that you can do to prepare your house for the winter, and here are three of the most important preventatives. 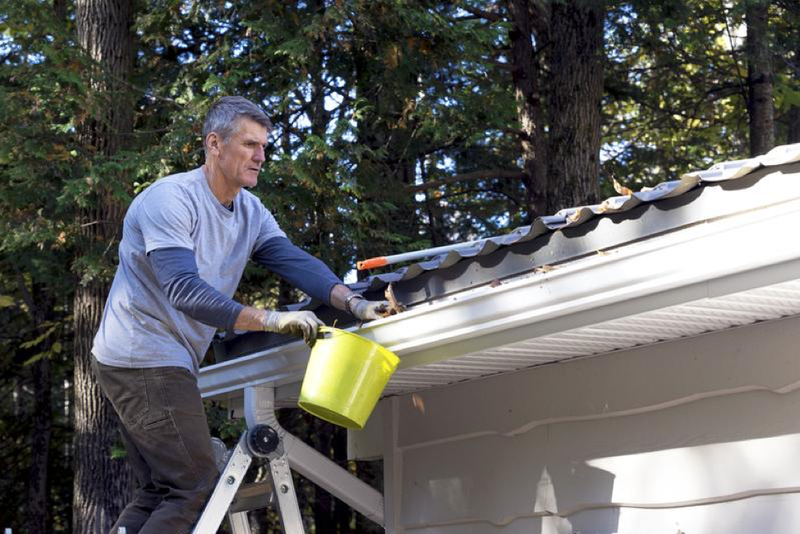 You should clean your gutters every autumn after most of the leaves have fallen. When water builds up in the gutters because leaves and debris are trapped within, the frozen water can become heavy and loosen your gutters from the side of your walls. Snow and water can accumulate and cause icicles to form. It’s always best to clean out all leaves and debris before snow, ice, and cold weather hits your area. When it gets cold outside, animals look for places to stay warm. Possible areas of concern include your garage or other more unnerving places such as your attic or your walls if there are openings available for critters to enter. They can do some real damage to your electrical work and any boxes that you have left open such as clothing or documents. When you set out to winterize your house, make sure that anything in your garage is safely enclosed in metal or thick plastic totes so that rodents and other animals can’t get inside. To keep rodent problems under control you should: remove any potential food sources, set traps, and be on the lookout for nesting sites. Also, check for any cracks in the foundation of your basement or other exterior walls where rodents could get inside. Having your furnace inspected annually by a professional is actually something you can do fairly early in the fall season. Furnaces sit without use from late spring to early fall, so consider making an appointment with a professional to have maintenance done and have your furnace checked before the temperatures begin to freeze. Ensuring that you have annual maintenance done on your furnace will help prevent any possible problems further into the winter such as frozen pipes. If you are handy, you can do the maintenance of your furnace yourself, and you’ll be nice and cozy when it gets cold outside and the temperature starts to fall. Part of the pleasure of owning your own home is keeping it maintained. If you want to make your house ready for the winter, following a few simple steps, such as the above tips, can help save you money and time in the long run. Still confused about where to start? Mountains To Sea Inspections also offers home maintenance inspections in Asheville and most of WNC which will outline all areas of your home that need attention to keep your home healthy, happy and running at its most efficient.